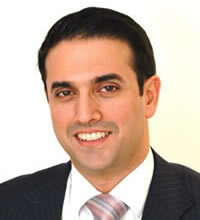 Ayad is a UK qualified solicitor and also an Iraqi lawyer. He has UK and international experience in corporate commercial law, energy, mining, dispute resolution, shipping, insurance, M&A, project finance and Sharia law. Since joining LXL in 2003 Ayad has worked on a number of high profile energy projects in Africa, Europe, Russia, Asia and the Middle East. Ayad has also advised state energy and mining companies in dispute resolution cases relating to pipeline operations (quality bank/throughput dispute), price review clauses, and charter-parties. He has advised US, European, Asian and Middle Eastern clients on various commercial and corporate aspects of their investment projects as well as assisting them in their day to day operations. Ayad is also a fluent Arabic speaker.